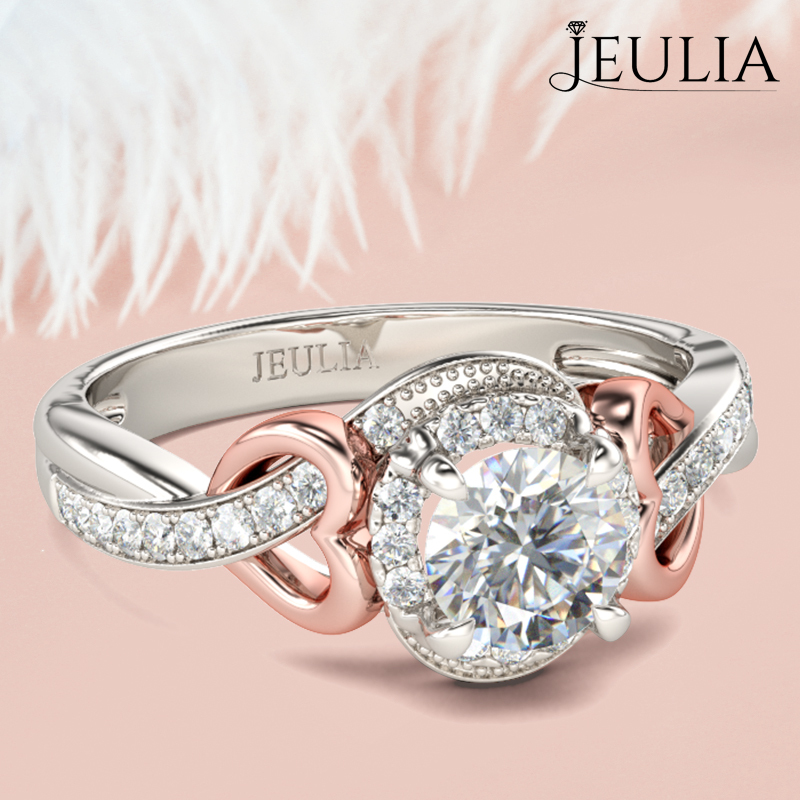 These days, couples often shop for their engagement rings together, but traditionally the engagement ring comes as a surprise, along with the proposal. So if you still want to keep the ring a secret, you’ll have to do some nosing around! Most importantly, take note of the jewelry she usually wears, such as yellow gold, rose gold or silver. You might also have to swipe a ring from her jewelry box to check her ring size! Deciding on the right cut and color of the engagement stone can be the hardest part. There are a few things to consider; your partner’s style and taste, but also which cut will suit her the most. 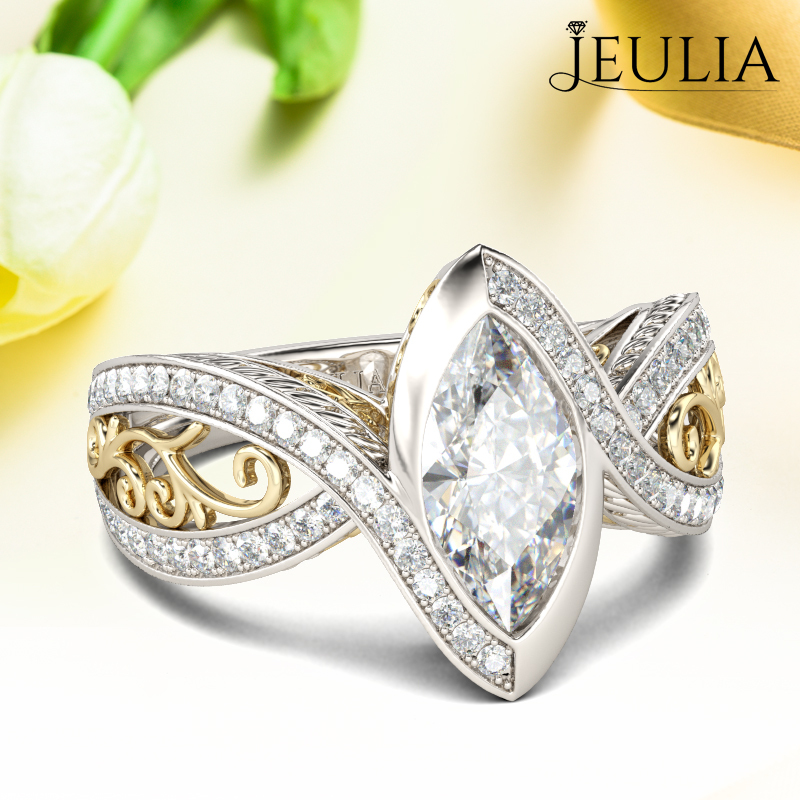 For slender fingers, go for a smaller stone that won’t look too chunky, like oval or round cut. Or for wider fingers, choose a narrow stone, like a rectangular or emerald cut. Do your research and choose a cut that she’ll be happy to show off to everyone. 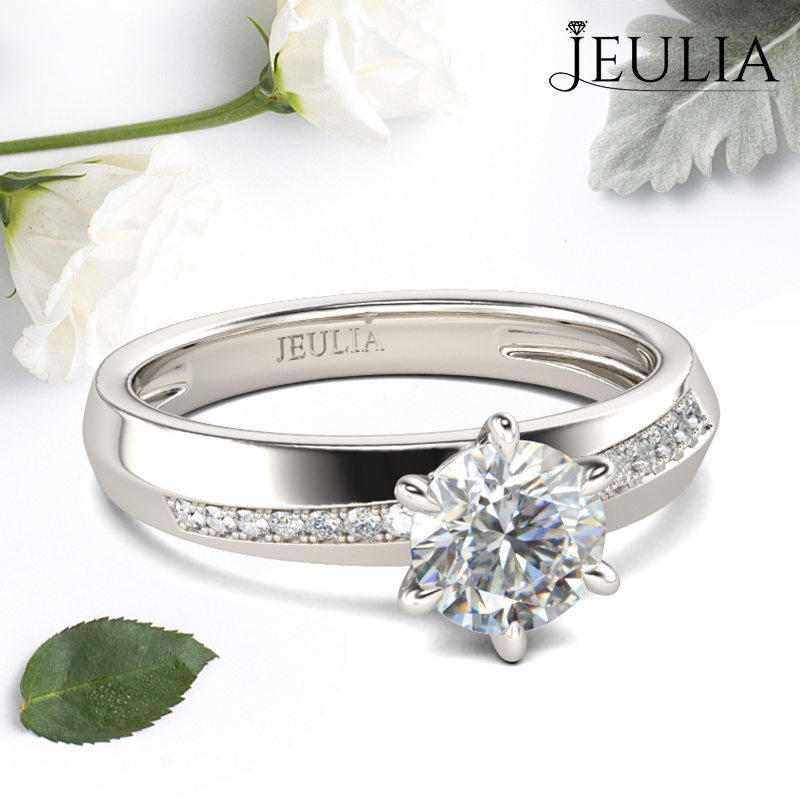 Make sure you allow enough time for your ring research, browsing, ordering and any other personalized extras, like engraving well before you plan to propose. 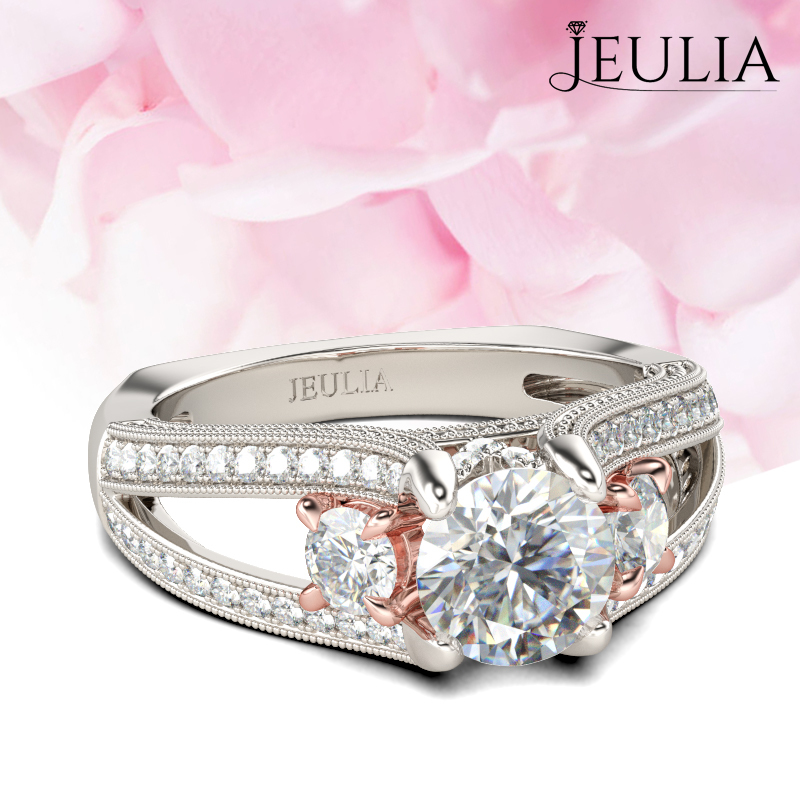 Two or three months should be plenty of time to organize the perfect ring, as well as decide how to pop the question. I love the whole look; it’s so chic! I first saw it on many designer’s lines last summer, and it’s funny that it hasn’t been given the attention that it deserves. I just wanted to add that the necklace piece is an accessory that doesn’t need any help in the form of bracelets or earrings.